A pampering experience that includes a full body Swedish massage, manicure, pedicure and European Facial. Approximately 4 hours. Replenish that much-needed sense of well being with 1/2 Hour Massage, Refresher Facial, and Spa Manicure Approximately 3 hours. An oceanside experience that includes a Mineral Salt Glow, Manicure and Pedicure. Approximately 3 hours. Experience total indulgence with a Heated Beach Stone Massage and an European Facial. Approximately 2 hours. The Bride will enjoy a Makeup Application, Bridal Updo and Headpiece attachment. Approximately 2 hours. Her Attendants will receive a Makeup Application and an Updo $127. Inquire about details designed to suit your special day. Spend the day or a half day with Studio G Salon and revitalize with one of our exclusive spa packages. 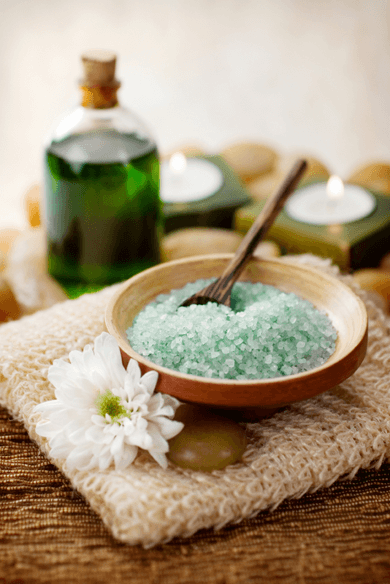 Our spa packages are crafted to combine treatments that compliment each other beautifully. Come relieve your stress and tension in the heart of Pittsburgh with our special spa package that makes it easy enjoy a little down time. Enjoy a choice of a renewing manicure or pedicure treatments at the Studio G Salon where you will enjoy a combination of contemporary style and upscale luxury. * All package specials include gratuity. We will call to confirm your requested appointment for consultation. If you require an appointment within 48 hours please call (412) 881-1788. Welcome to one of most relaxing salons in Pennsylvania, where our stylists, personal trainers and masseuses offer only the best spa care. Studio G Salon and Spa understands that sometimes life gets in the way of appointments. However, we do ask that you do your best to give us 24 hours notice, so that we can fill that appointment from our waiting list. If you need to cancel, please call 412-881-1788 as soon as possible.